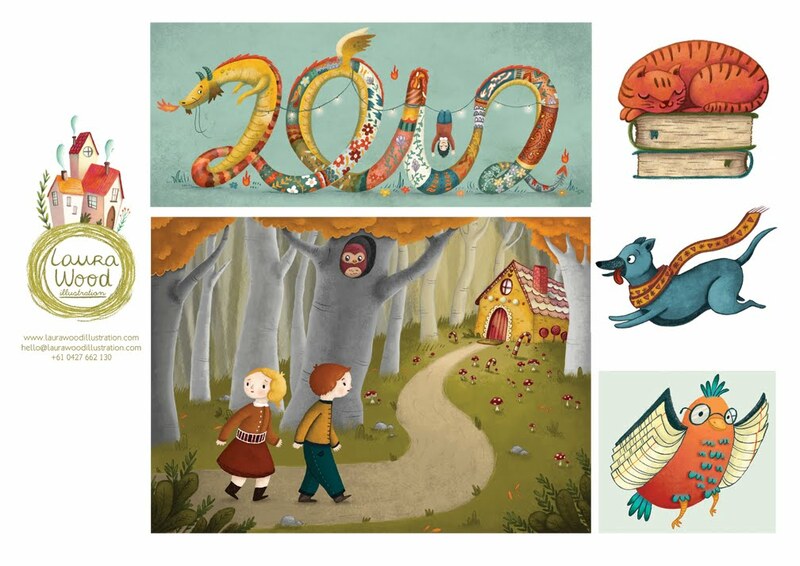 Once Upon A Sketch | Once upon a sketch was founded to give insight, education and news about the many facets of the Children’s Illustration Market » Guest Post-Laura wood walks us through creating her Promo Pack! 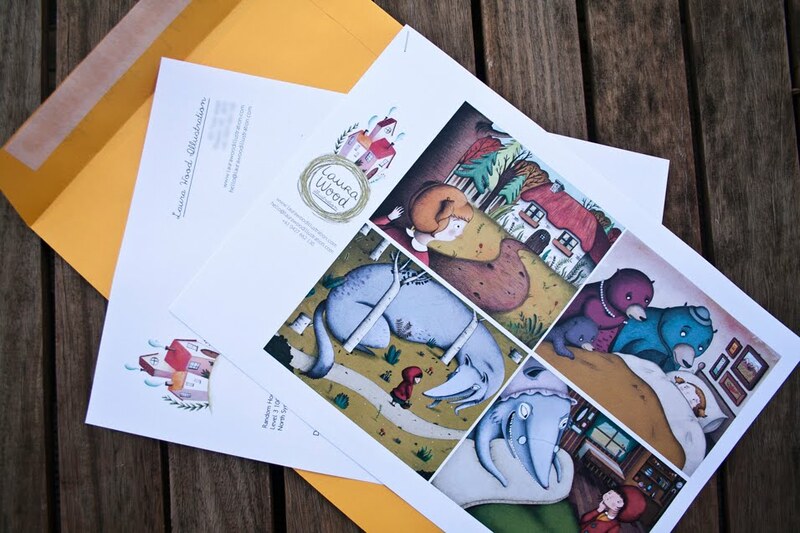 Guest Post-Laura wood walks us through creating her Promo Pack! Today we have a guest post from Laura Wood. 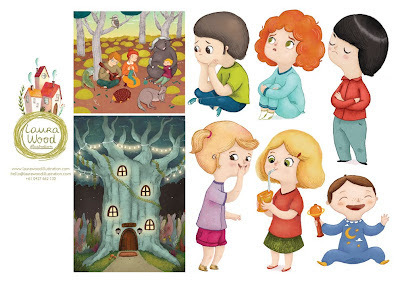 A burgeoning student of illustration who comes to us from Melbourne, Australia. Many artists have different methods that they use when approaching potential clients and creating promotional materials. Some illustrators purchase lists, create their own lists, subscribe to directories, or use agencies to send out promotions to publishers or potential clients. A few days ago I did my first official promo mailer and I would like to share how I did it. This is because I’ve researched a lot before doing it and even if lots of people were saying how important it is to do it, I struggled to find practical info of HOW to do it! So I would like to share exactly how I did it, and hopefully this would be useful for people who have never done it before. First of all I designed my promo sheets. They need to include some of your best images and your contact info on every page. Mine was intent to be directed to publishing houses so I decided to include only illustration with kids, animals and a sense of narrativity. I’ve decided to not include more than 3 pages, manly for costs reasons but also because I read that’s what people usually do. I made it an horizontal design because my images are mostly horizontal and it was easier to fit them in the page. After struggling a bit (how can I fit vertical and horizontal formats in just one horizontal page??) this is what I’ve come out with. This page is focused on pictures that show backgrounds, animals and people, in particular kids! 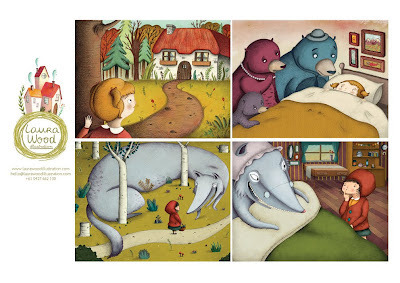 The last one is a collection of picture that I reckon might be found interesting for a publisher. That includes a picture from Hansel and Gretel and come animal characters. I stapled the 3 pages together and on top of that I put my cover letter separately. 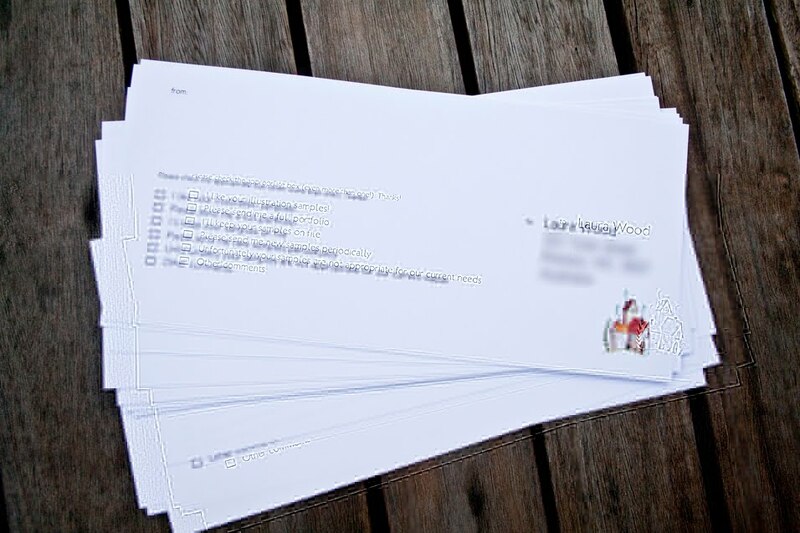 I designed my cover letter with my own personal letterhead which includes my logo and my contact details. I quickly introduced myself and explained that I was sending an illustration submission. I kept the cover letter very short (one page only!) since I didn’t really know if it is something publishers actually read. However, I think it’s a matter of courtesy to explain why you’re sending something to someone so I would recommend to write a brief introduction of your work. I’ve put them in a big envelope because it’s much more professional to send them flat and not folded. This is what the whole thing look like. I like your illustration samples! I’ve left some space for some comments as well to invite publishers to write further feedback. Basically they need to just cross the proper answer and put it directly in the mail. Easy! To print them, I’ve used the website Ready, steady, print which is Australian and quite fast. I used them before to print some business cards and the quality/prices were good. Actually, I made a mistake when I ordered these cause I stupidly choose a too thin paper (only 100gs, damn it!) so make sure to choose a paper that is thick as a postcard, or similar. I guess 230gsm would be enough. I reckon it’s ok for a promo. Also, I still have lots of SASE cards that I can still use in the future. PS= I strongly suggest to use InDesign to design your sheets, instead of Photoshop or any other software. 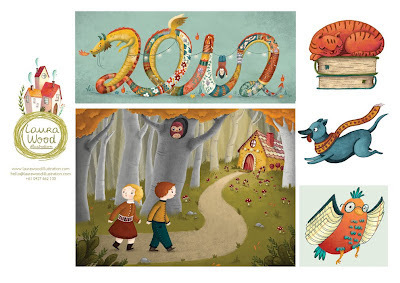 For more of Laura’s work be sure to drop by her website! Thanks so much Dan!! Speaking of people I met on Zero2Illo, How have you been?? You seem to be flourishing quite well!! I’m proud of ya man! Beautiful package, very clearly explained– thank you, Laura. Beautiful work! Thanks for posting this helpful information! Best of luck and continued success! Thank you for such a clear explanation, and congrats on your beautiful promo package. I hope it brings lots of business your way! Such a fresh approach – love it! Inspirational.